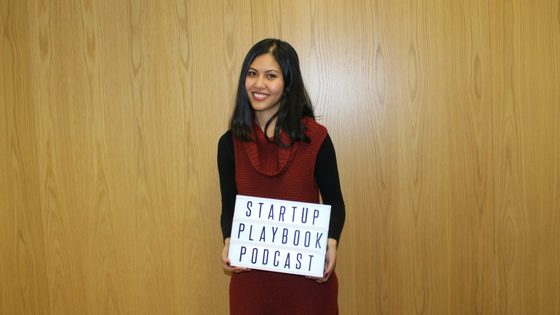 For Episode 56 of The Startup Playbook Podcast, I did a live podcast interview with Vicky Lay, the Managing Director of Artesian Venture Partners. At just 22, Vicky quit her degree and co-founded zookal.com – a Silicon Valley venture-backed e-learning and textbook rental company that turned over $20M in revenue last year. As their Chief Operations Officer, Vicky successfully scaled the business 10x year on year. She is now the Managing Director at Artesian Venture Partners (an early-stage venture capital business with offices in Australia, Singapore, Shanghai, New York and London). In her role at Artesian, she is actively building startup ecosystems across Australia and ASEAN, decoding the DNA of entrepreneurial success and helping more entrepreneurs secure funding. She also founded and serves on the boards of non-profit organisations fostering youth empowerment and entrepreneurship including Young Achievement Australia and JA Australia. Vicky Lay was also recognised as a Forbes 30 under 30 recipient in April 2017. In this live podcast we spoke about how to hire and retain the right talent, Vicky’s learnings from being on both sides of the table, what she looks for in early stage startups as an investor and empowering diversity in the startup ecosystem.